In dealing with plumbing issues, be mindful that many complications can arise without notice. Some things might be a quick and easy fix for you, but others can be a little more challenging. Whatever your situation, you need to be educated enough about plumbing so you will know if you need to call a plumber Melbourne, or if you can fix it yourself. Anchoring your pipes can eliminate the hammering and squeaking noises caused by loose pipes and fittings in your home. Any exposed pipes will need to be secured. You might want to contact a professional plumber Melbourne when the pipes are hard to access. If you don’t want plumbing in your house frozen, then don’t let the inside temperature go under the freezing point. Make sure any pipes that have no protection from the elements are thoroughly insulated. But, be advised that your pipes in your home may freeze if the surrounding temperature near those pipes is less than freezing. It may take time to thaw properly so that you can have running water. Frozen pipes can also burst without notice, which can be very messy and expensive to repair. If your home has a frozen pipe, turn on the nearest tap so the water has an escape route when the pipe starts to thaw. This assists you in relieving pressure within the pipe, and could stop any bursting from occurring, which should prevent additional damage to your home. From time to time, inspect the floor around your toilet and see if it has gone soft. Stand above the toilet with a foot positioned on each side up close to the toilet base. Shift your weight back and forth to detect any weakness or sponginess in the floor. This will save you a lot of trouble and money if you find the issue prior to something horrible happening. Keep grease, fat, dirt and oil out of your kitchen drain. When oil cools off, it becomes hard and will clog your pipes. This is primarily true if you are someone who has a garbage disposal or insinkerator; the fats will make the blades go slower and less freely. Dispose of oils and fatty liquids in the garbage. If you notice water draining into your dishwater, check your kitchen sink and it’s piping. The hose might be incorrectly installed. The hose going from the dishwasher to the sink must go downhill, and then uphill, to stop water mixing from the two devices. If you have multiple plumbing problems, schedule all of them to be fixed in one go. While you may be tempted to call the plumber Melbourne whenever you have a slight problem, scheduling it all at once gives you the opportunity to save money to pay for the repairs thus saving on call out fees. 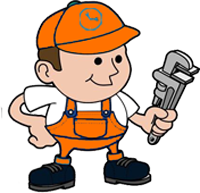 Most plumber Melbourne charge a call out fee and an hourly fee that can be minimized if there is only one visit to your home. As previously mentioned, plumbing problems range from minor to major issues. The information in this article should be able to help you prepare to face those problems with knowledge and confidence. Contact Melbourne 24 Hour Plumbing for all your plumbing Melbourne requirements.